Available to students who have received formal instruction in Shambhala meditation. 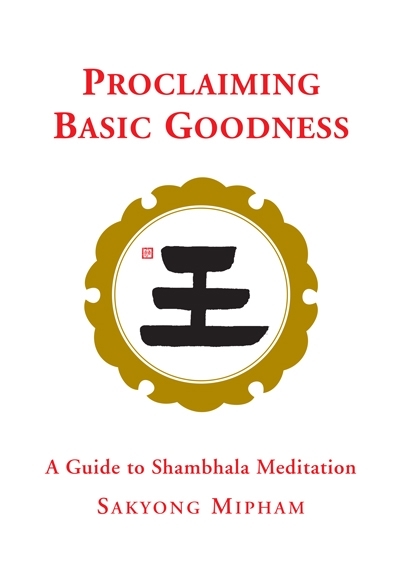 Proclaiming Basic Goodness: A guide to Shambhala Meditation is a basic introduction to a vision and an empowerment that expresses the heart of the Shambhala message: feeling worthy to be, and touching our basic goodness. 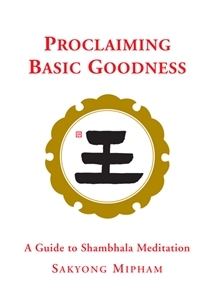 Adapted from the author’s longer book on Shambhala meditation, it is a brief presentation divided into succinct chapters that encourage the reader to delve deeper into a simple yet profound practice. This text is being translated into Portuguese, Dutch, Spanish, German, Hungarian, and Italian. Please contact Sophie Leger <sophie.dechen@gmail.com> for updates on the progress of translated texts.